And then it was over… suddenly it’s autumn, though the weather in Western Europe is better in September than it was in August. The clock keeps ticking… we can’t escape from time! In general we’re back on course.. as long as we can grumble a bit, we’re happy. The summer has been a top season, all records have been beaten with BBT with regard to the figures, that makes one good-humoured ! I hope it is the same for you all. A lot of good work and many nice rides in the fall! # 9439 Book: "VW Camper Cookbook"
This solid reproduction engine lid can provide a solution for the replacement of many Type 2 08/58-08/65 engine lids, that have sustained irreparable damage by accident or rust. They have a nice finish/fit and a good the price/quality ratio, taking into account with the fact that repair of a damaged engine lid costs a lot of money. 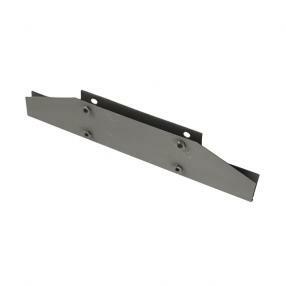 The assembly clip for the hinge is included separately and can be installed depending on the type year. With model 05/58-1963 (ch 351 736 - 1 222 025) it comes 115mm from the upper side. 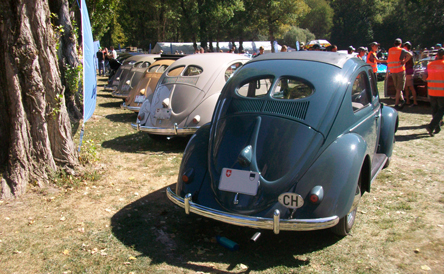 With 1963 - 08/65 (ch. 1 222 026 - 216 000 001) it comes 65mm measured from the upper side. BBT has them available each from stock. Bad seals near the door windows make that humidity can penetrate in the empty space in the door. The parts within the door can get damaged through infiltrating moisture. The window sashes with Karmann Ghia are a nice example for it. In the past it was exceptional to find good second-hand window sashes, because most of the time they were severely damaged by rust. BBT has now a good reproduction window sash available each from stock. The window sashes fit on both sides. 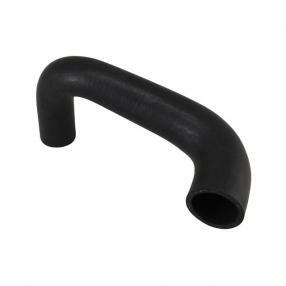 We use this rubber seal for the door panel clip when using our ref. # 0409-550 clips door panels front & rear on Type 2 07/67-07/79. This seal has the correct thickness for a perfect fit. Available each from stock. Because of user rights we had to cut in our assortment of door latches, though we've been working for a solution. Our search after an alternative quality has led us to these good German door latches for Type 1, Karmann Ghia, Type 3 08/67-. The fit and working is perfect together with a nice chrome quality, make that this door latch is very suitable to replace your corroded, damaged or without keys items. 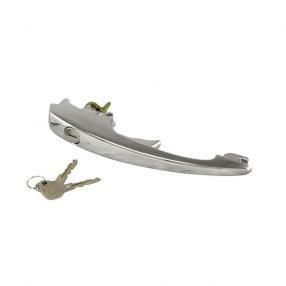 The door latch is delivered each from stock with 2 matching keys. With this new add to our assortment out of the rage of Vintage Speed, the owners of Type 2 -08/59 buses have now the opportunity to install an alternative custom quick shifter in their vehicle. This Titanium custom quick shifter has an up to 35 % reduced shift distance. The stop plate is designed to enable a better shift adjustment. 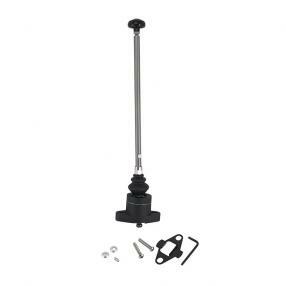 From now on BBT can deliver this shifter, including assembly material from stock. Initially the more ancient Karmann Ghia and Type 2 buses were not all equipped with a fuel gauge. It was an option on standard buses and was only supplied on deluxe versions. The place on the fuel tank was however provided, though not perforated. 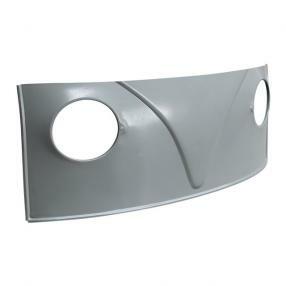 The base plate that we have now in our assortment, enables you to install a fuel sending unit in the existing fuel tank. 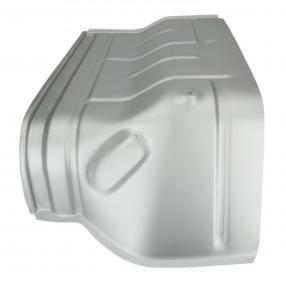 The destined place on the fuel tank can be cut open and the base plate is to be welded on this location. That speaks for itself that the fuel tank should first be emptied, disassembled and cleaned. The base plate is sold each, assembly instructions included. 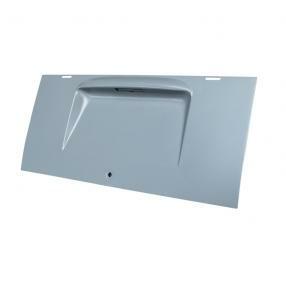 Owners of Type 25 can now replace damaged inner door panels with these new items. At the moment we have only the black version available from stock. Other colors can be obtained by special order. In the current traffic good functioning lights are essential. It's a concern for many owners of Type 1 08/55-08/61 beetles and at meetings we often see bugs driving with bad taillights. In many cases the lens is no longer transparent or the reflector is blistering off. Upon disassembly of the taillight, other parts may get damaged too. Our supply of second-hand parts has to such an extent diminished, that we have looked for good new substitute parts. From now on we can deliver following items from stock: # 0626-510 taillight lens and reflector in 1 unit available for each taillight, # 0626-520 spring clip (each),# 0626-530 Chrome ring for taillight, available each, # 0626-540 taillight housing left. 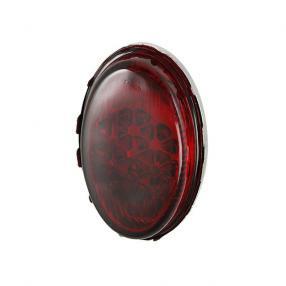 # 0627-540 taillight housing right. The empty space within the body of Type 1 is known for the corrosion inside. Humidity and dust get through condensation or through cracks within the empty parts, where they can do their destructing work. The result doesn't look that nice. The welding seams get thicker by corrosion and the underside gets perforated. Now it's possible to repair the underside of the frame head of Type 1 -07/65 with this bottom plate. Available each from stock. 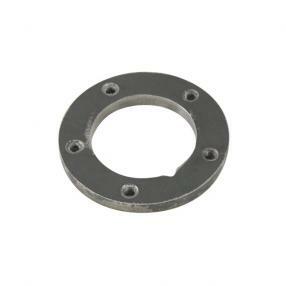 This mounting strip is essential for the good assembly of the engine seal and it is often damaged by corrosion or a previous badly installed seal. It is not always possible to repair the mounting strip, so that one is forced to install a new item. 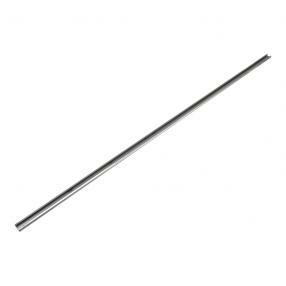 From now on BBT can deliver this mounting strip in a length of 94cm from stock. 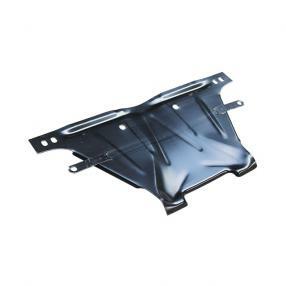 The mounting strip can be used on Type 1, Type 2, Karmann Ghia and Type 181. Though sometimes even the front inner wings are to such an extent damaged that even small damages can't be properly repaired. Replacement of the entire inner wing is the most appropriate solution. 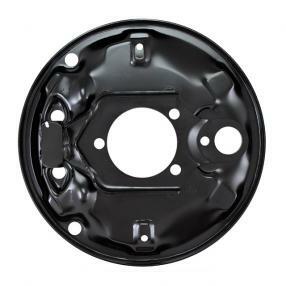 The wheel housing that we have now available enables the replacement of the upper side of the inner wing from the front bottom plate till the baffle panel. The seat rail should be recovered. Available each and for each side from stock. If you want to repair damages on the front panel of Type 1 buses you've got to search for a donor vehicle or spend a lot of working hours adapting a front panel of poor quality. It often required some creativity and sometimes even a bit of makeshift. We do not like this to happen to our classic cars. That's why we're happy that we have now a nice fitting alternative available. Here again we have a new product of our BBT product line. 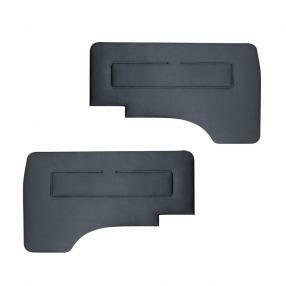 We already had a wide range of backing plates available, though these were still missing in our assortment. 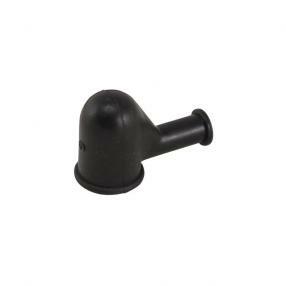 A perfect fit combined with a nice finish make that this indispensable part is a perfect alternative for your damaged or rusted item of many 08/67  Type 1 beetles. Available each from stock fitting for the left-hand as well as the right-hand side. 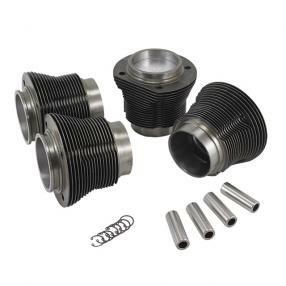 We 've already had for some time the sets of AA Performance in our assortment, as an alternative for the always more expensive Mahle cylinder/piston sets. Due to the increasing success of these sets we 've enlarged our assortment with kits for 1200cc (Ø 77mm) Type 1 engines. From now on they are available per kit, consisting of 4 cylinders, pistons, piston axles and clips from our program. This rubber boot that connects the generator cable to the generator prevents corrosion of the connection. The rubber boot hardens and gets fragile due to the heat of the engine. A minor manipulation is often sufficient to cause bursts, so that it's protecting function can't be assured anymore. From non on you can replace the damaged rubber boots by new ones. Sold each, you need 2 of them for 1 vehicle. A good functioning gasoline feed is essential for an optimal return and the carburetor is therefore an important part of it. Fuel leakage increases the gas consumption and can provoke an engine fire, whereas taking in leak air results in a bad combustion. Both defects are often caused from missing seals of the carburetor. We already had a wide range available, though we needed even a more complete assortment. 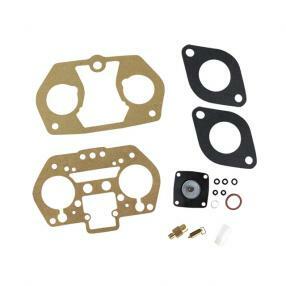 From now on we can deliver a carburetor rebuild kit for 36 IFD Weber carburators, 48 IDF Weber carburators and Pierburg 2, E2 and 2E3 carburators. You need 1 set for 1 carburator. BBT keeps working to enlarge our wide range of coolant hoses for Type 25 water-cooled engines. The coolant hoses are always less available as spare part and even good second-hand ones are sold at high prices on online markets. The BBT purchase team has made some intensive research to present all types of coolant hoses at the perfect price/quality ratio. We have now a good alternative to replace your hardened and/or broken item. 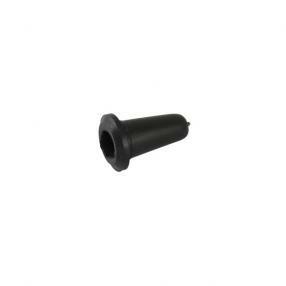 The rubber hoses are sold each from stock and the original spring clips are also available each from stock.